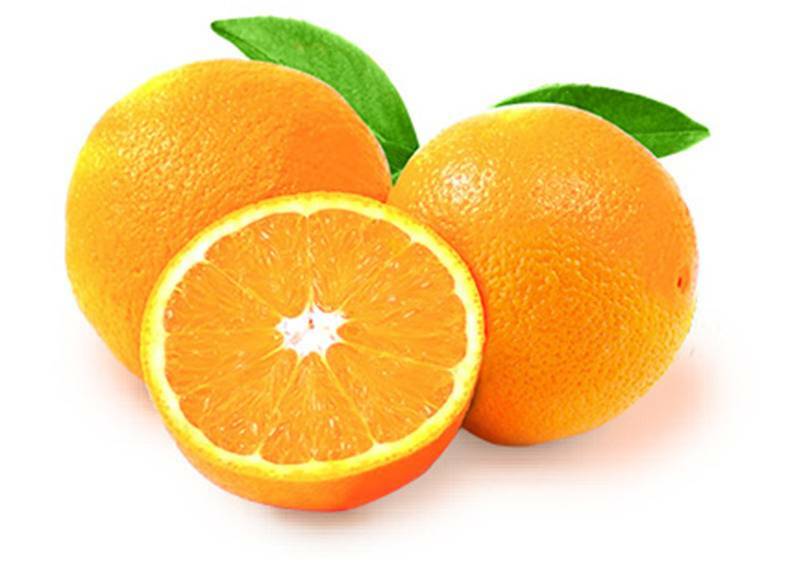 Navel oranges are the perfect oranges for eating. They are large and plump, with a “button formation” opposite the stem end. 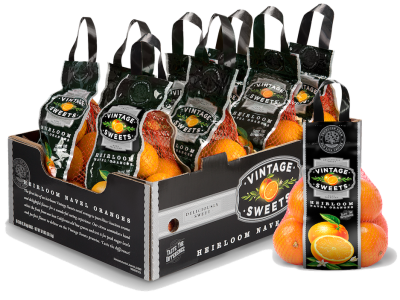 Deliciously sweet and seedless, they peel and segment easily, delivering a perfect all-natural snack. 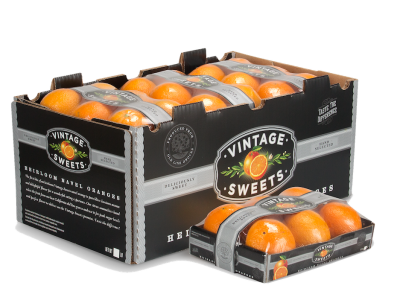 Navel oranges are available from November through June, with peak supplies in January through May. Often referred to as the “summer orange,” since peak supplies are available June through September, Valencias are actually distributed between March and October. Known for being super juicy and fantastically flavorful, Valencias contain exceptionally high juice content, making them ideal for juicing! Attributes: Ideal for juicing, lengthy availability, Great tasting snack and perfect as a garnish. 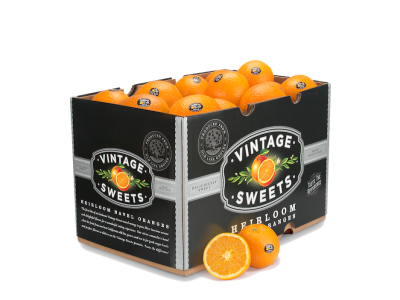 The first bite of an heirloom Vintage Sweets navel orange is pure bliss: luscious aroma and delightful flavor for a delicious eating experience. Sun Pacific citrus experts select the fruit from our best California old line groves and test it for peak sugar levels and perfect flavor. 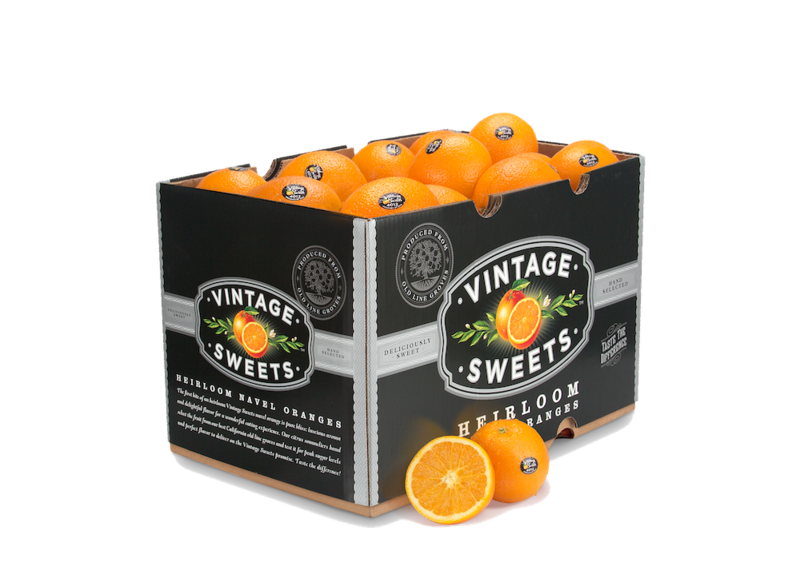 Vintage Sweets are available January through May. 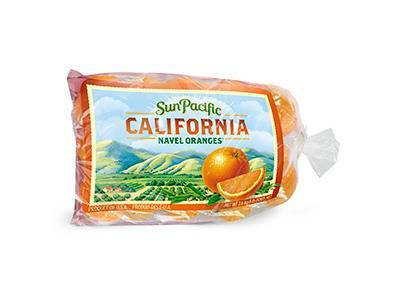 Sun Pacific has been growing sweet and juicy Navel Oranges in California since 1969. As a grower-shipper, we understand the importance of maintaining very high quality standards throughout the supply chain achieved through superior agricultural practices, state-of-the-art cooling and packing facilities, combined with the strength of a well-seasoned sales and marketing team. 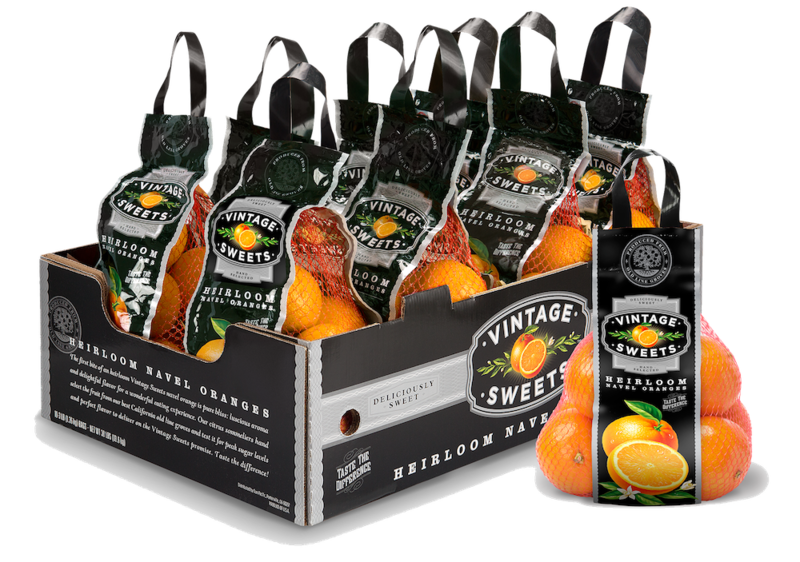 We are also committed to building Navel orange sales and consumption for retail and foodservice programs by providing a comprehensive range of packaging solutions and marketing opportunities to propel the citrus category. Simply peel and gently separate each segment. 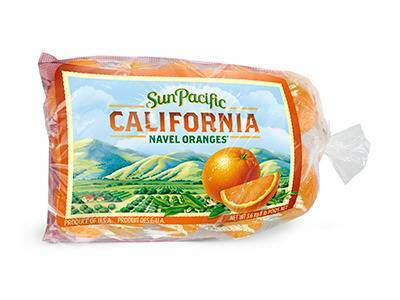 You can eat navels anywhere, so take them with you for a sweet, juicy treat on the go! 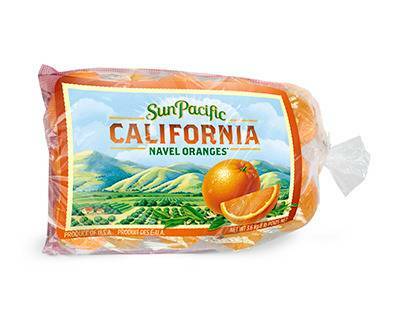 For a burst of citrus sweetness, add Navel orange segments to your favorite snack. Try them with low-fat yogurt or toss them in your favorite cereal or crispy salad.  For great tasting orange juice, you can hand-squeeze Valencia or peel and quarter the fruit then feed smaller sections into an electric juicer. 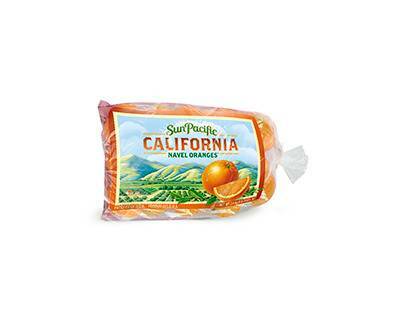 Refrigerate extra juice overnight or freeze it to enjoy the refreshing taste of fresh-squeezed juice whenever you’re ready. Valencias are thin-skinned, so they’re easy to peel and toss into your favorite summer salad for a splash of citrus taste. Kids love to create an “orange smile.” Just cut the fruit in half crosswise, then cut three or four wedges from each half. Tuck just one segment into your mouth and smile.